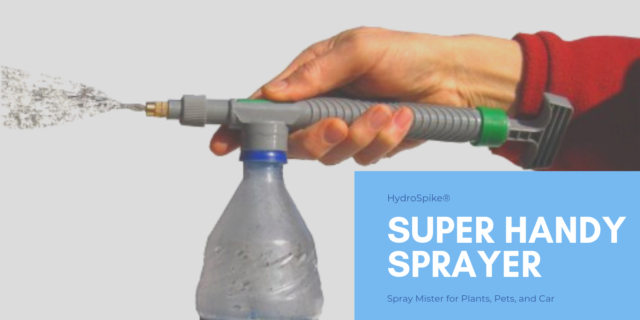 A full range spray gun nozzle jet mister, the HydroSpike® Super Handy Sprayer Kit adds pressure to water or liquid for a nice long spray. 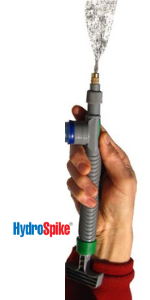 Portable, use this spray nozzle on any plastic bottle or can for Garden Plant Watering, Outdoor Irrigation, Car Cleaning and Washing or even Pet or Dog Cleaning. 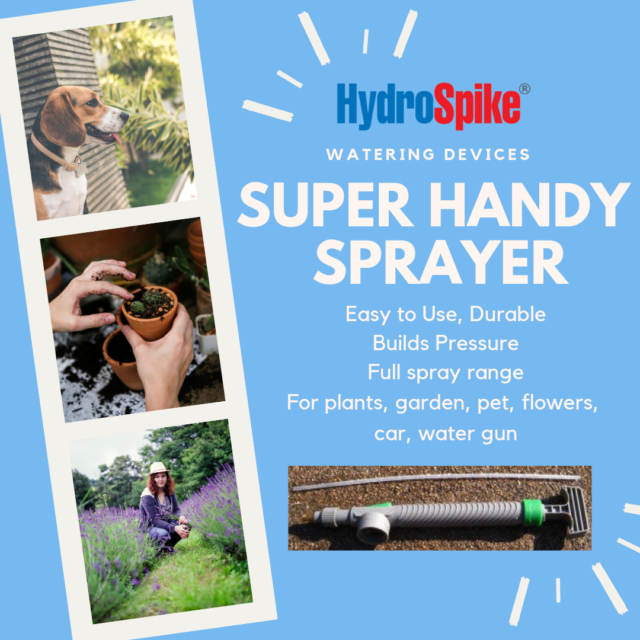 HydroSpike Super Handy Sprayer Kit is easy to use, small, light and portable. Water spray gun builds pressure for a strong spray given its size. The nozzle head fits many a plastic bottle and can be used with any liquid or water as a spray wand, spray gun for indoor or outdoor use; however, most usage may be outdoor given spray yardage. 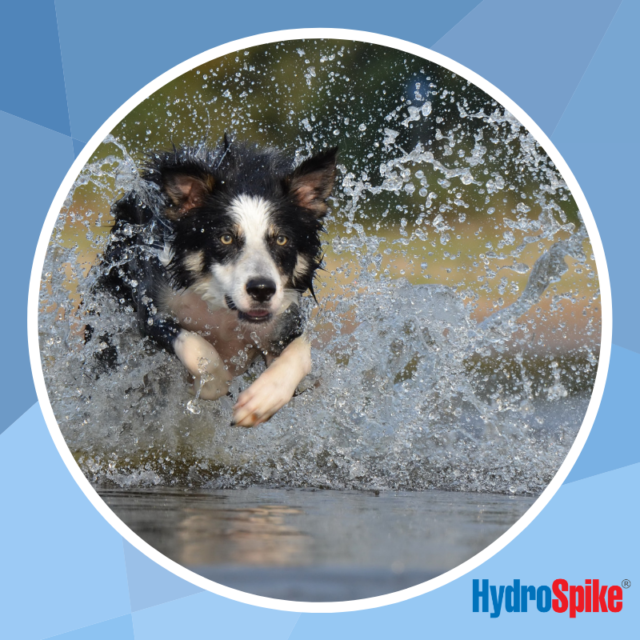 Portable hydro jet stream option, less powerful, but very handy. Ideal to use anywhere including in tight space. Spray up to 18 oz per minute. 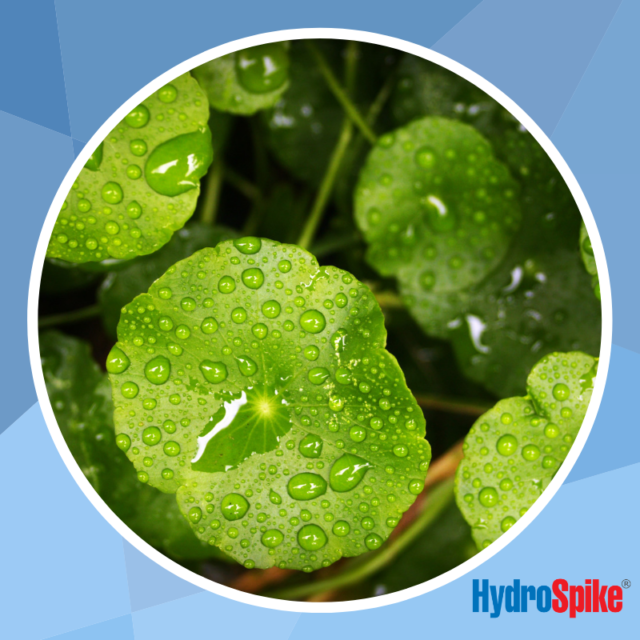 Spray for plant watering range 0-15 feet! Pump handle pistol for high pressure continual spraying. Durable jet nozzle and excellent in the garden, portable car wash, windshield, plant therapy, plant watering can or devices, garden accessories outdoor, and irrigation system kit. 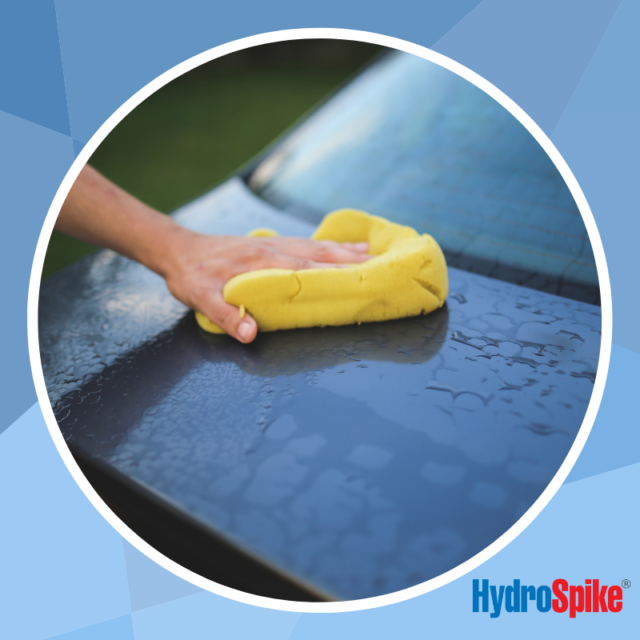 Use as pet sprayer or washer with a bottle attachment for a shower on the go. Use as mist spray or long narrow stream. 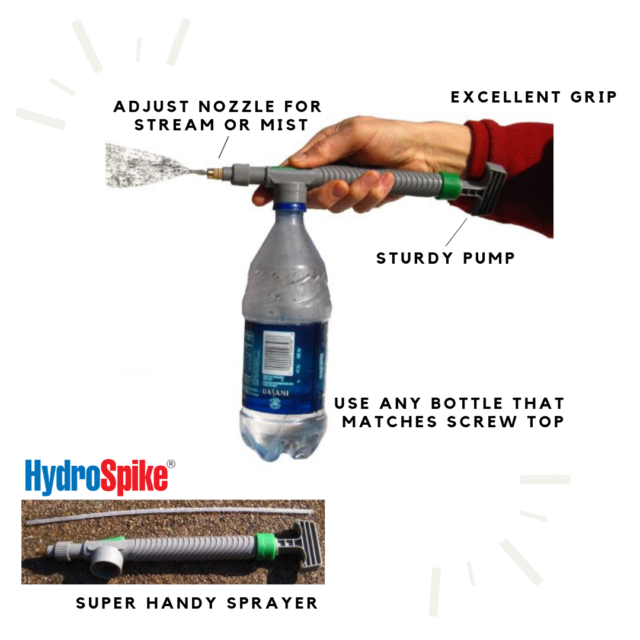 This HydroSpike Super Handy Sprayer Kit does it all with so many other applications. Durable material with a relatively long inside hose piece, easy attachment. 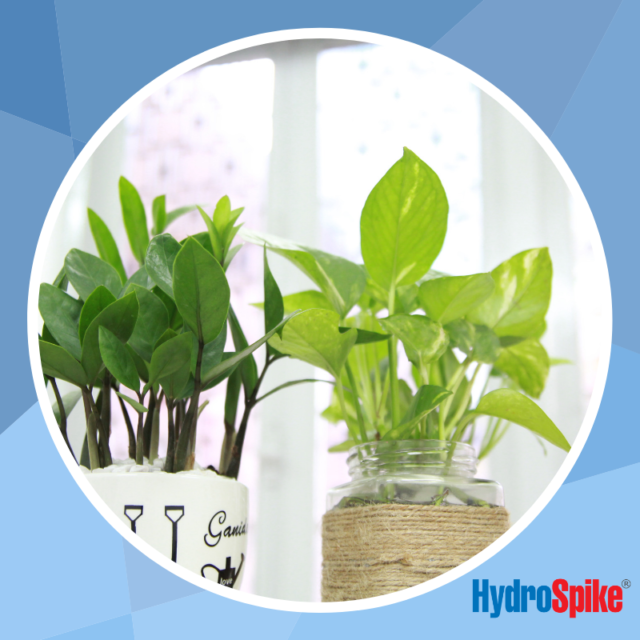 Be green and reuse plastic drinking water bottles for household, gardening, greenhouse, agriculture applications. Great for a variety of liquid uses from water to chemical to household cleaner. Excellent as a spray bottle for portable mini weed killer, dog washer for paws, water gun fights.